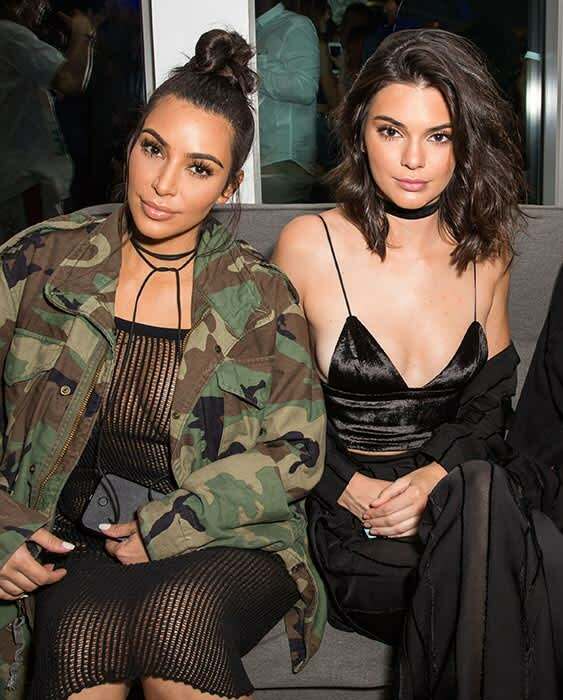 Kendall Jenner returns to Instagram after Kim's robbery ordeal | HELLO! Kendall Jenner made a welcome return to social media on Thursday, days after her sister Kim Kardashian was robbed at gunpoint. The model, who quit Paris Fashion Week following the incident, appeared to be in high spirits in a photo shared on her official Instagram account. 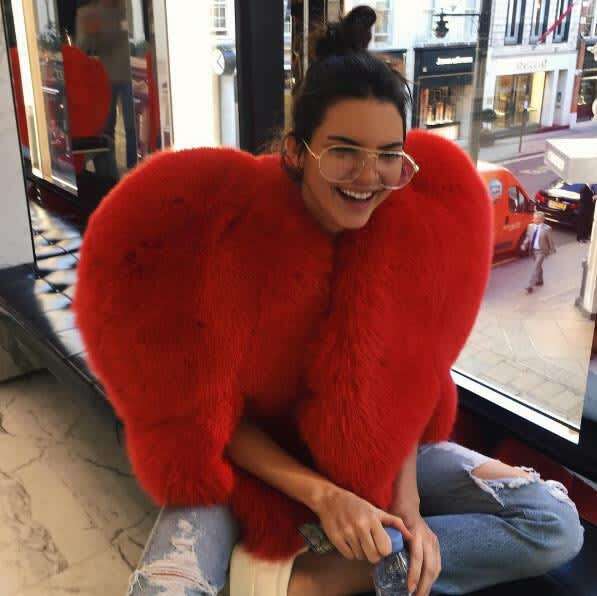 "Low key look," Kendall captioned the photo, which showed her sitting next to a window while wearing a Saint Laurent heart shaped cape. The 20-year-old giggled as she clutched a bottle of water, with oversized gold frame glasses perched on her nose. The statement fur cape has proved an unlikely sartorial hit among celebrities in the past few weeks, with Rihanna and Anna Dello Russo also spotted wearing the design. However Kendall wore hers in a much more casual way than Rihanna and Anna, teaming it with ripped jeans and trainers, with her hair tied back into a top knot. The Keeping Up with the Kardashians star has kept a low profile since an incident involving her sister Kim Kardashian, during which millions of dollars' worth of jewellery was stolen. Kendall was also in Paris at the time of the attack, and flew back to the US just a few hours later – pulling out of a reported slot in the Chanel show at Paris Fashion Week. Neither Kendall, Kim nor the rest of the family have spoken out about the robbery, which left Kim "badly shaken". However it has been reported that Kim plans to scale back her public appearances in the wake of the incident, and she has since postponed a planned make-up masterclass that was due to take place in Dubai on 14 October. Kim was due to host the class with her make-up artist Mario Dedivanovic, but he announced on Instagram that the event will now take place at a later date. "Dear Dubai Masterclass Attendees, On behalf of myself and Kim Kardashian West, please accept our apologies," he wrote. "We are sorry to inform you that due to the recent events, we will be rescheduling the Dubai Masterclass with Kim Kardashian West."